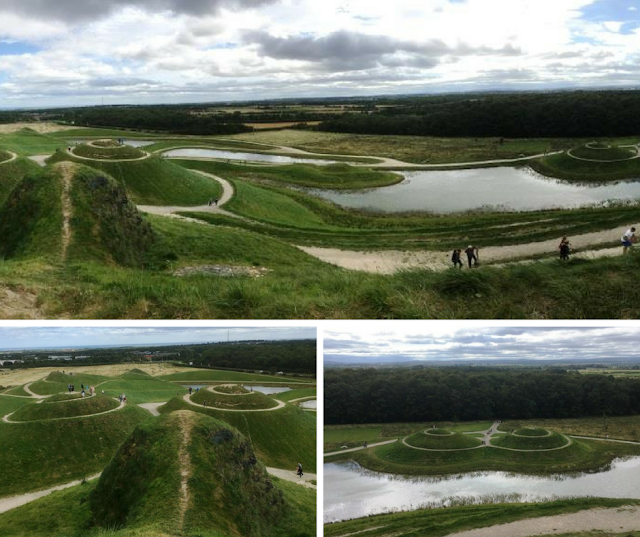 Have you been to Northumberlandia? 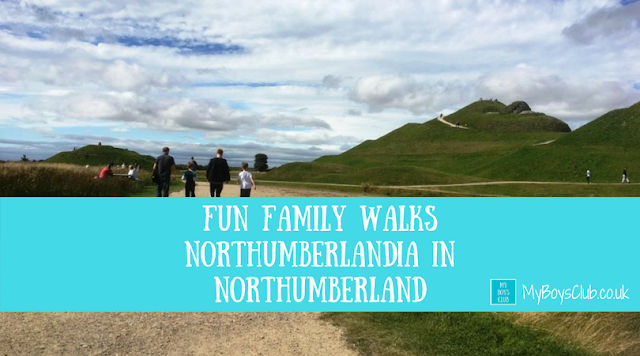 We met up with family and friends there a few weeks ago and it has to be said it is a fab place in Northumberland for a fun family walk. Northumberlandia – or the Lady of the North - is the world’s largest landform sculpture, and there 4 miles of footpaths on and around the main sculpture to enjoy on foot (no bicycles allowed). At the centre of the park is Northumberlandia, herself a stunning human landform sculpture of a reclining lady. Made of 1.5 million tonnes of rock, clay and soil, she is 100 feet high and a quarter of a mile long. She is 100 feet high and a quarter of a mile long and made of 1.5 million tonnes of rock, clay and soil. This makes her the World’s largest human landform sculpture. We arrived and parked in the Snowy Owl carpark as we had a reservation there for dinner later in the day, - the food was delicious too. Northumberlandia, however, does have its own car park, too, which is slightly nearer to the entrance. We headed past the visitor centre and through the trees and stopped at the information boards and maps before heading onto Northumberlandia itself. The boys wanted to go right to the top first and stand on Northumberlandia's head. Spiralling pathways take you up a circular gentle climb right to the top. From where you get stunning views of the sculpture itself and Northumberland, but also out to the North Sea to the east and across the mine to the Cheviots to the west. With the head done, now we headed down and around to other parts of the body and around the lake. It was a beautiful sunny and cloudy day, with blue sky but also very windy on the day we visited, but that didn't spoil our visit. We also had a dog with us, he loved it but was kept on his lead at all times. It was a great place for a family walk, plenty to see and occupy the boys and lots of space for them to run around freely too. We also found one of the Tyneside Rocks while we were there - carefully hidden amongst the sculpture. Totally made the boys day! 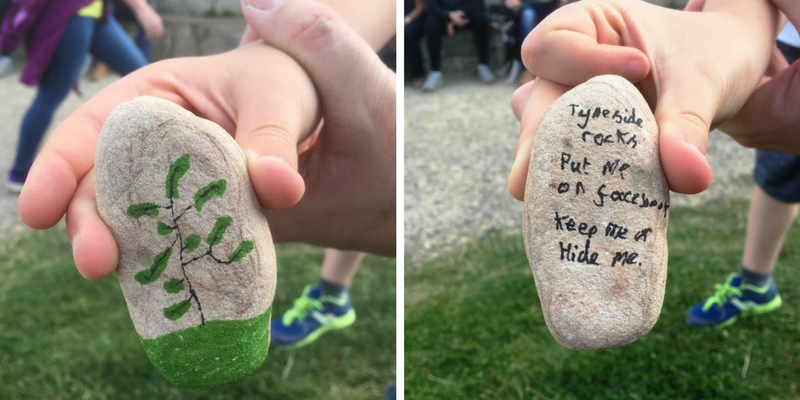 Did you know they have these rocks all over the country - I read about them in Hitchin recently. Northumberlandia is the world’s largest landform sculpture. Blagdon Estate and Banks Group gave the land and funding for the human landform, now known as “the Lady of the North” to be created as part of a restoration-first project in relation to the adjacent Shotton surface coal mine. The aim was to provide a new landscape for the community to enjoy while the mine is still operational. 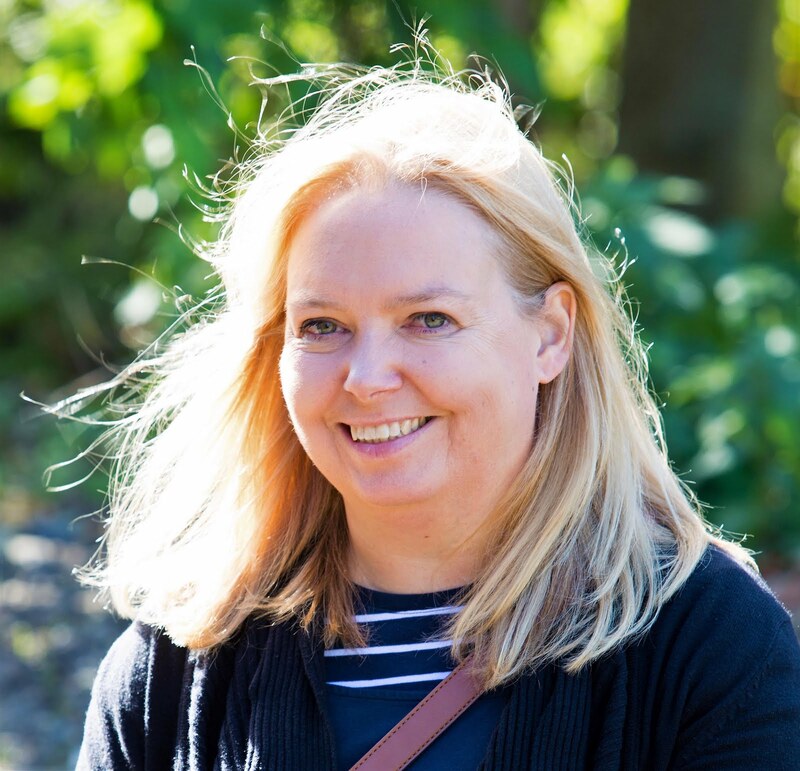 Work began in 2010 and it opened to the public in September 2012 and is managed by the Land Trust and Northumberland Wildlife Trust. Northumberlandia is located next to Cramlington in Northumberland and is only a few minutes from the A1. It is clearly signposted on the roads and buses frequently stop close by too. Northumberlandia is open from dawn until dusk each day. The Visitor Centre and Cafe is open from 10am-4pm, Wednesday to Sunday, and there are toilet facilities behind the visitor centre open at the same time. 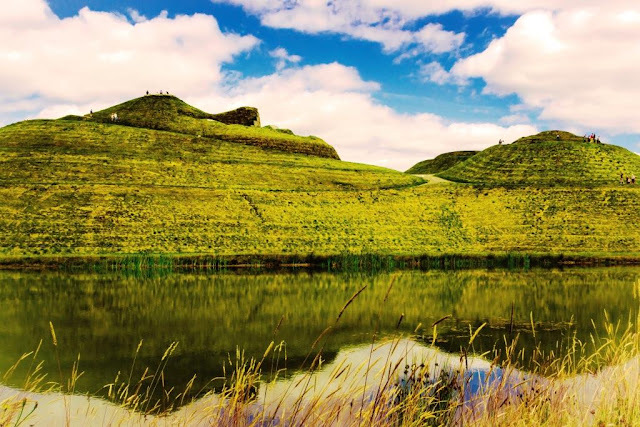 Northumberlandia is a park that is free for everyone to enjoy. However, to help cover the maintenance costs the car park has a £2 recommended donation. Can I cycle around Northumberlandia? Dogs are welcome with responsible owners who keep them under control on leads at all times and clean up after them. 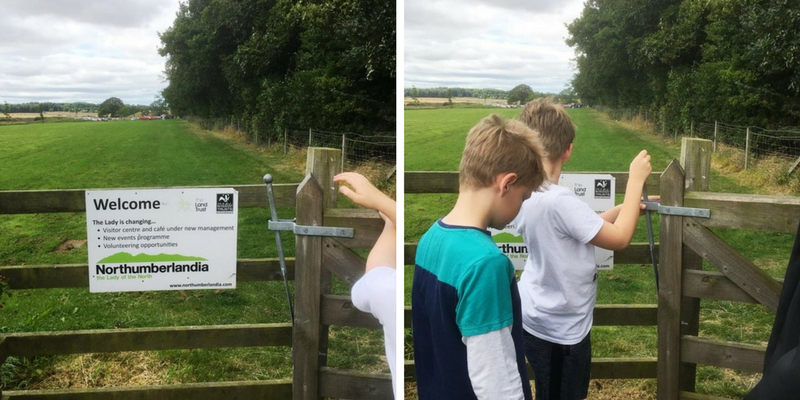 Where is your favourite family walk? Such a useful guide there looks like there is so much to do for all the family. Wow what beautiful view, my little family would really enjoy this adventure as there is so much to do!!!! Wow I've never heard of this place and it isn't far from us at all. Will definitely have to add it to our list of places to go! Lovely landscapes! Britain has so many beautiful walks all around, it's hard to choose just one!